Style is how you are recognized. Style is the first impression. Trends come and it's fun to take part in the new. However, style is the everlasting. There are certain concepts and pieces that are timeless. Take the concepts and pieces and make them your own! For fun, I used images often intertwining the styles, to show how limitless the options truly are! Coco Chanel loved it. Janelle Monae lives by it. The black and white look instantly creates a chic look with a flair of class. All black with white contrasts. Black and white patterns. Color blocking. This monochromatic look can be pulled off in a multitude of ways. 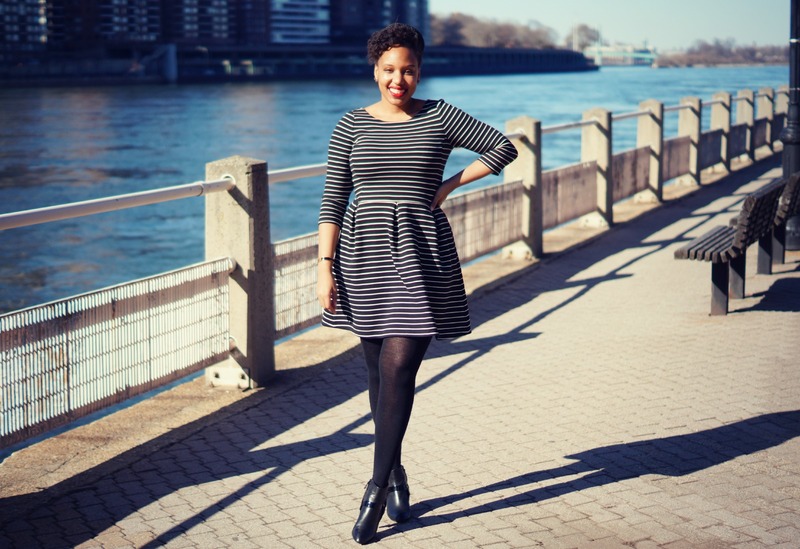 Kendra of Closet Confections is polished in this black and white dress. 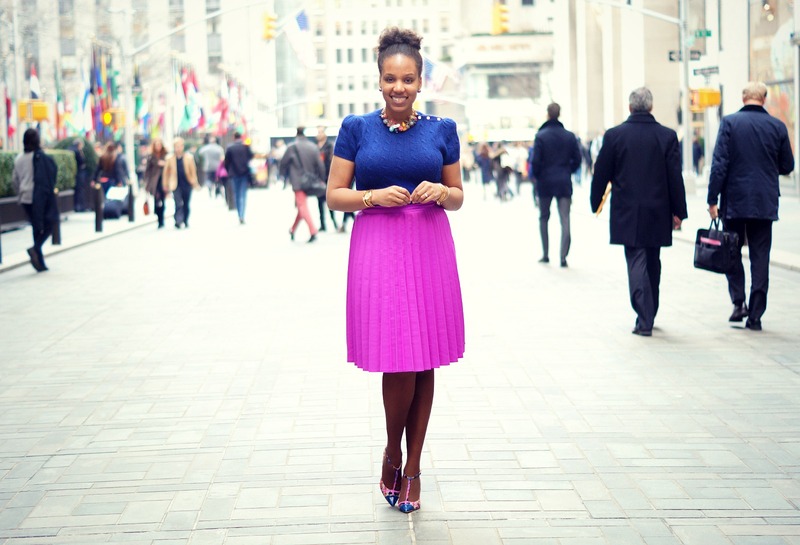 I wore this classic color combination to a speaking engagement to create a modern look. Kendra shows us black and white stripes done right. You can never go wrong with a pop of color. A bright color. A jewel tone. Neon. Add a bright pair of shoes to your monochrome look from above. Get a blouse or camisole in this seasons "it" color and wear it with a blazer. NYC fashion stylist Betty Gulko pairs her black and white dress with a clutch that has a hint of neon. The color is not overwhelming, but you notice it! Betty Gulko's cobalt blue skirt adds head turning style to her look. Speaking of blazers. Every woman should own a blazer. I'm talking a blazer that doesn't go with your suit set. This is a statement piece. A blazer creates clean cuts and flatters all body types. Depending on the color, a blazer can add a pop of color and be the eye catching piece. It can also neutralize an outfit if you stick in the black-navy-gray realm. A blazer instantly dresses up any look. It's also a perfect fall accessory for those days when it's 72 and cool. Blazers come in so many various cuts and lengths, creating so many stylish looks! 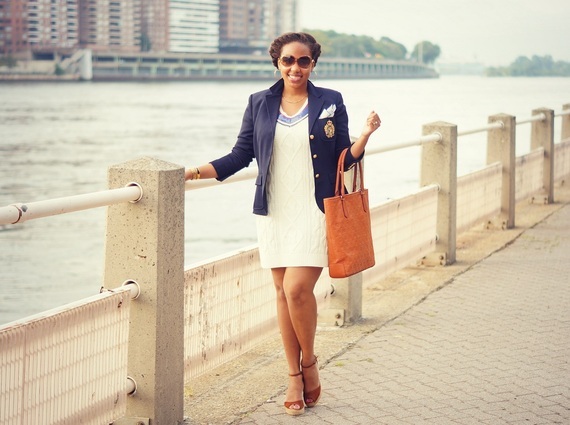 Kendra's blazer gives her a nautical look! Betty Gulko pairs a black dress with a floral blazer for a great transition into spring. Skinny jeans. A denim jacket. A denim skirt. Denim shorts. Dark denim. You can't go wrong with denim. It can be a casual look or dressed up with a blazer. Wear your favorite pair (the ones that you feel great in!) with some heels and you are good to go. Dark denim is versatile and looks great day or night. Add a little denim to your wardrobe! Betty Gulko shows us how she wears denim on denim. 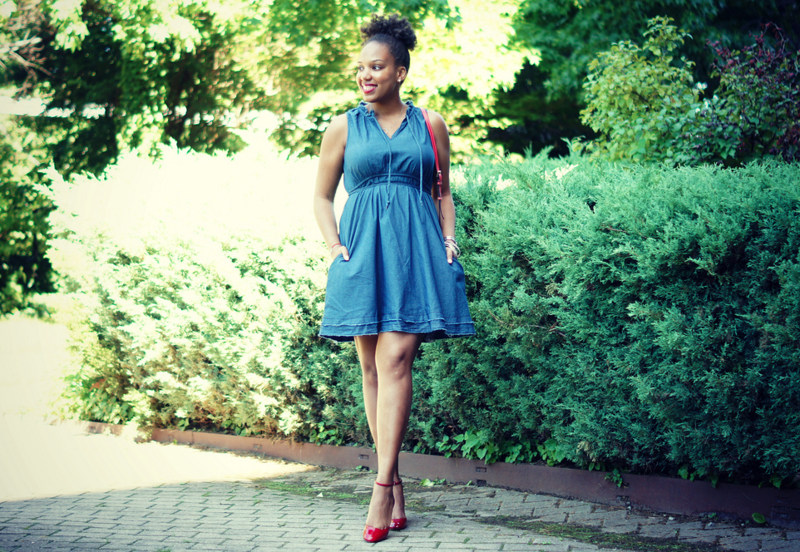 Sarah Chiwaya of plus-size blog "Curvily Fashion" is ready for the weekend in her distressed denim. Kendra is ready for warm weather fun in this flirty denim dress. 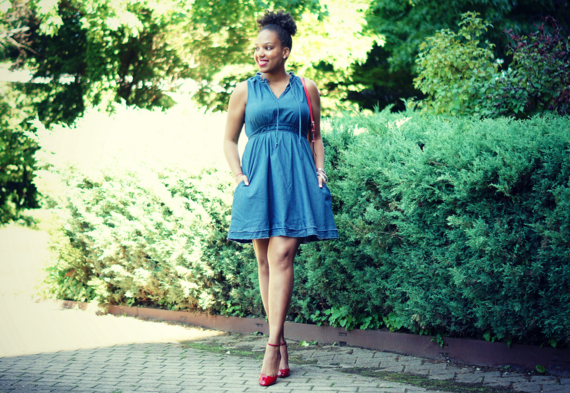 Betty Gulko mixes up her maxi dress with a chambray top. LBD. The little black dress. Own one. Rent one. This dress is not only a statement piece, but also a go to. When in doubt, wear your little black dress. A little black dress looks fabulous on everyone and is great for any occasion. Cocktail party? Wear a black dress with creative detailing. Date after work? Wear a black dress to work and bring statement jewelry with you for after 5P! Business meeting? A black dress and a blazer always looks professional. Sarah Chiwaya shows us how she turns her LBD into weekend style with fun moto boots. My French Connection LBD is updated with white piping. Available for rent, on ItsModelCitizen.com. 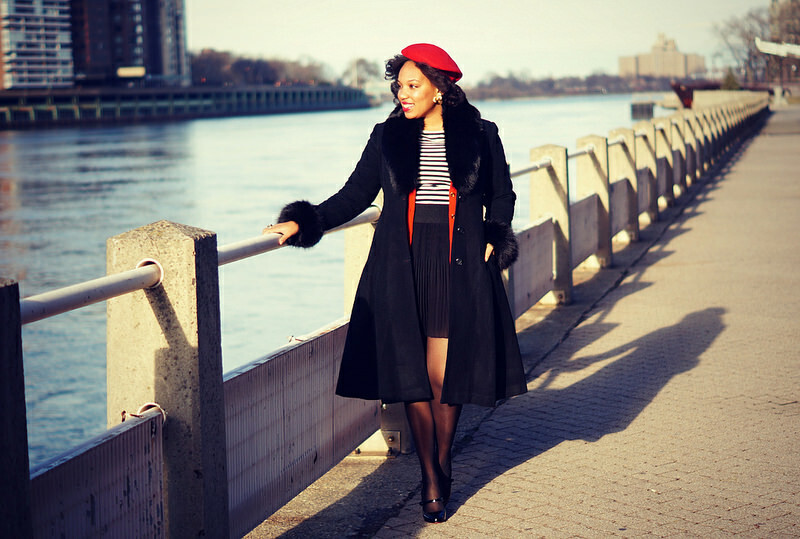 Chanté N. of The Closet Freaks shows us her little black dress style. Funky jewels. A head-turning shape. An array of pearls. Whatever your fancy - own it in a statement necklace. 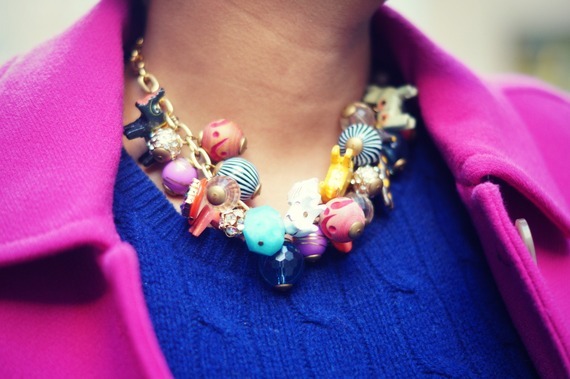 Statement necklaces add an extra oomph to any outfit. If you are shy - it makes a great conversation piece! Kendra's bright personality is illustrated through her outfit! Her Lenora Dame necklace completes the look. Kendra's Lenora Dame statement necklace is a conversation piece - from the cute critters to the bold baubles, there's a lot to get people talking! 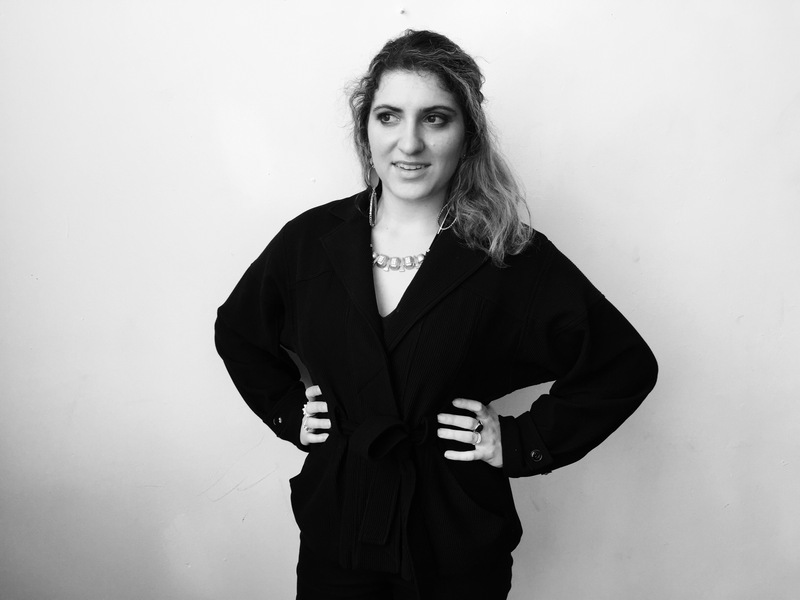 Gaby Yosca, Special Projects Manager at Gerard Yosca, wears this Gerard Yosca piece to create a chic look. Red lipstick. A red dress. Red shoes. A red clutch. I don't care what item it is, but a woman should own something in red. It's such an alluring color and instantly adds that va va to the voom. Betty Gulko in an eye-catching red dress. 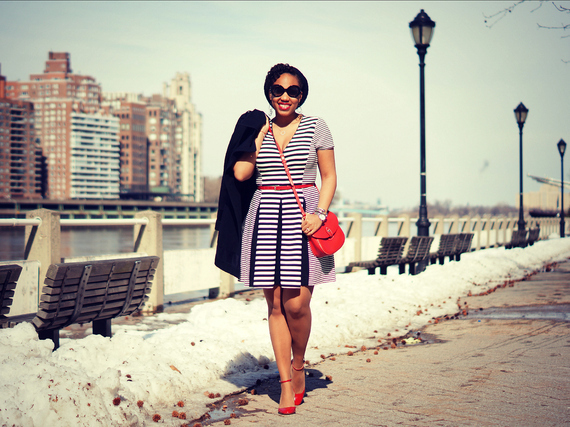 Kendra shows us how chic red accents make any outfit. Show me how you incorporate your style by sharing on Instagram or Twitter! Use the hashtags #ModelCitizen #WhatsInYourCloset so our stylish community can see your great style. Use our platform, Model Citizen, to rent great pieces to help you create your eternal style!